France - 1945. F Company waiting to go home. 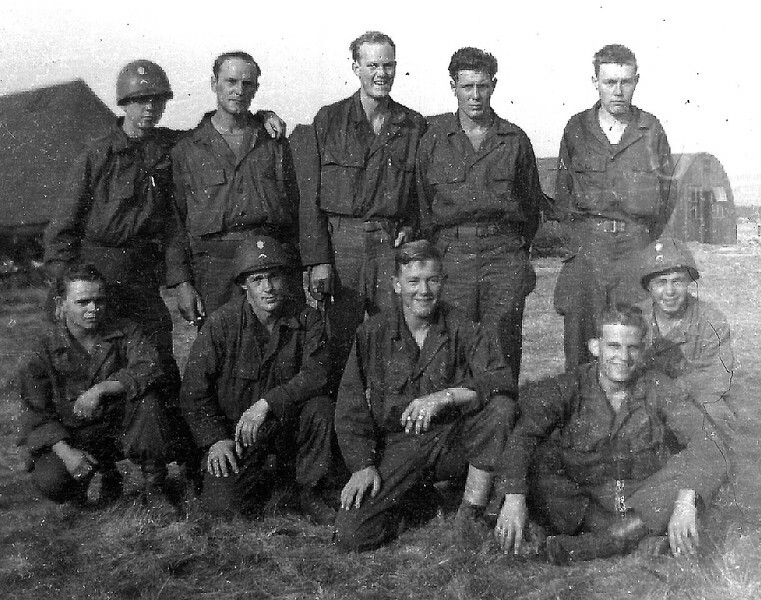 Left to right (front row): Richard Pearce, Marvin Winkles, Troy Farmer, Harold Wick; (back row): Delton Groothuis, Kromfeld, Fred Amondsen, Leonard Fendrick, Smith.